Plans to build a new Queen Margaret Academy in Ayr are a step closer with the official contracts now signed after reaching financial close. South Ayrshire Council is now preparing to move on site to get work underway to deliver the new facility. The £25m project will provide places for 800 young people, with modern classrooms, interactive ICT, a large games hall, two gyms, two all-weather pitches, and hard games courts. The building will also house Psychological Services and a Supported Learning Centre, which are already based at QMA. The new Queen Margaret Academy will be built in the grounds of the existing school and is expected to open in October 2019. The current building will be demolished after the new school opens with the site to be fully landscaped. The main contractor for the project will be Kier Construction. Councillor Peter Henderson, Portfolio Holder for Resources and Performance, at South Ayrshire Council, said the latest announcement was an important milestone. “We’re committed to providing young people with the best possible start in life, and delivering a first-class education goes a long way to helping achieve that. “By investing in this significant new building we’re creating a base to transform the way young people are taught, with the replacement school a more flexible space in which to deliver lessons. Michael McBrearty, Chief Executive of delivery partner, hub South West, said: “The new Queen Margaret Academy is hub South West's fifth educational collaboration with South Ayrshire Council, having recently completed the new Ayr Academy, innovative modernisation at Marr College in Troon, and new primary schools for Dailly and Tarbolton. “The new academy will provide a wonderfully modern and inclusive community facility that will provide excellent resources and opportunities for the area. Managing director of Kier Construction's Scotland & north-east England business, Brian McQuade, said: “We’re proud to continue our relationship with South Ayrshire Council and looking forward to delivering an exciting new project which reinforces our position as a UK leader across education. 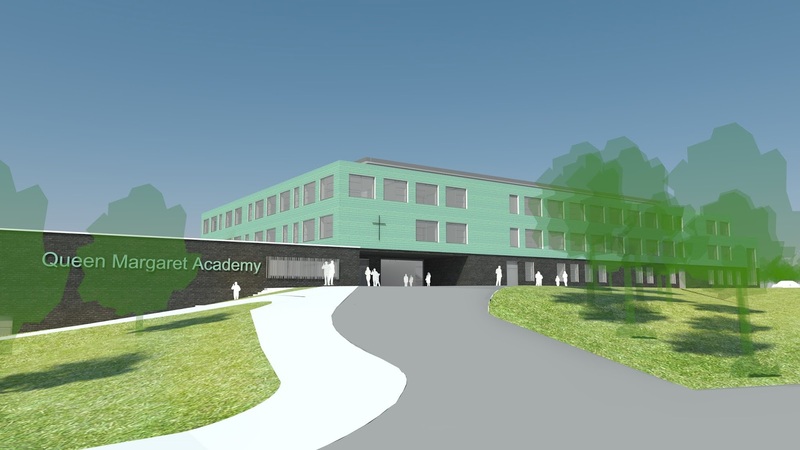 “We’ll be on site soon to start to deliver this state-of-the-art teaching, sporting and community facility at Queen Margaret Academy, which will help to support future generations.